Happy fall y'all! I hope your week is going well. 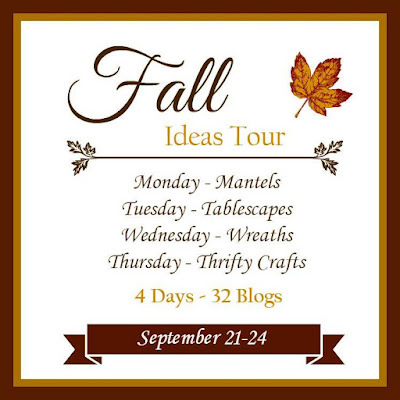 There a lots of fall tours around including the one I'm part of this week called the Fall Ideas Tour. I hope y'all are finding some new ideas and inspiration each day. Did you see my outdoor table I shared today? It's a cozy table for two. Well, enough chit chat let's get this party started! First we need to check out some features. Cristina at Remodelando Casa has wowed me again with her fall mantel. A Junkchick Life shared here cute and cozy fall porch. I don't know who throws away chairs like this, but Scavenger Chic rescued five of them and gave them new life. Isn't this the cutest pillow? I can't believe it's a no sew pillow. Find the tutorial at Little Bits of Home. 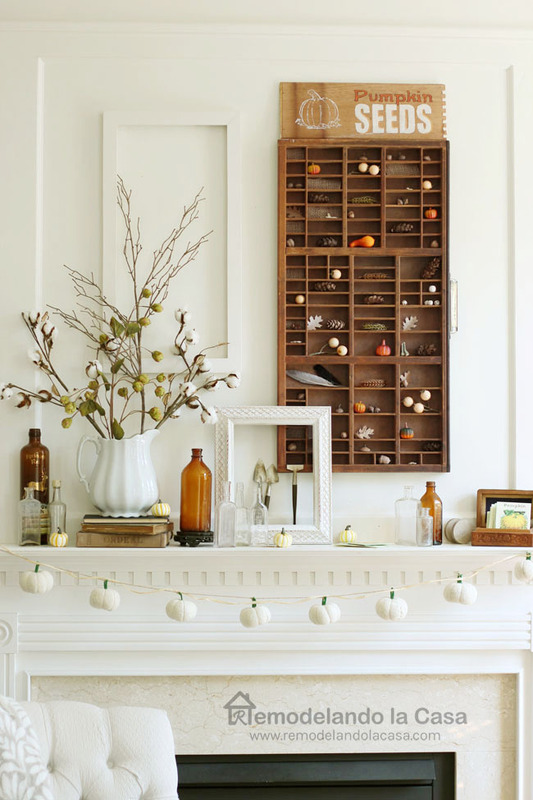 I love how Lilacs and Longhorns repurposed a cabinet door for fall. Be sure not to miss this tour I'm part of this week. You can check out what I shared HERE if you missed it and all the other links. So much inspiration and I can't wait to see more. Thanks for those sweet words, Becca! I've been learning a few tips from pros like you and Kim. Thank you so much for yet another fabu party Kim! Wonderful features, love all of the inspiration. Wishing you a wonderful week! Great features!! !...Thanks for hosting Kim! !...Have a great week! Thanks for hosting Kim. loved your table for two! Kim, Happy Fall! Thank you for hosting WOW and for featuring those you do. 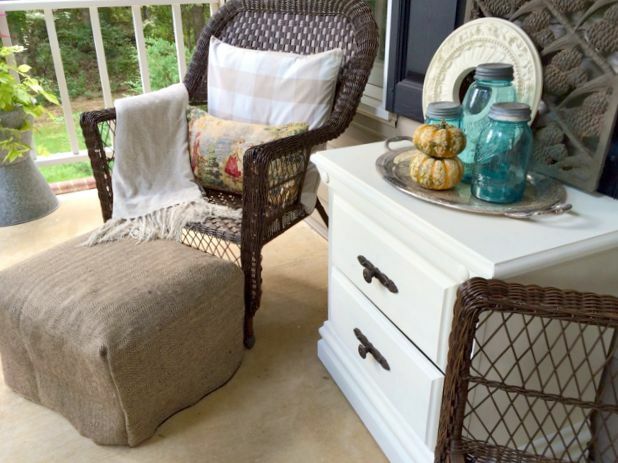 Kim thank you so much for featuring my front porch! Your blog was one of the first ones I ever read daily and still do. You've made my day! Wonderful features Kim. Thank you for Wow Us Wednesday 240. Have a great week. Thanks for hosting! I'm new to this party and look forward to visiting the links! Thanks for the party! 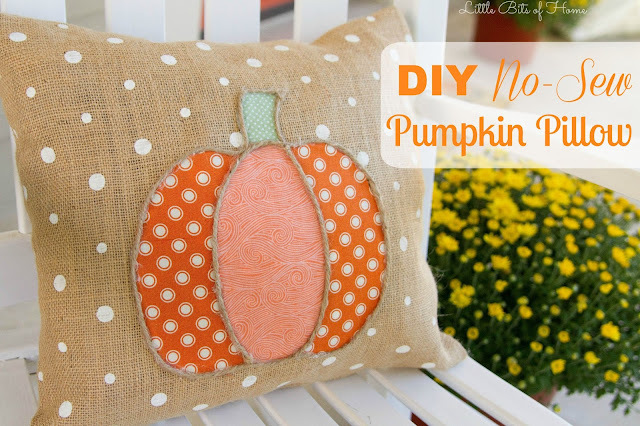 That pumpkin pillow is to die for, too cute. Wonderful features! Thanks for hosting!! I really need to catch up on the rest of those fall home tours! Thanks for hosting again! Those chairs are beautiful and the cabinet door is super cute. Thanks for hosting, Kim. Have a wonderful start to fall. Thanks so much for hosting the party, Kim. Have a great week. Terrific features! I want to go see how to make that pillow! Thanks for hosting! Thanks for WOW, Kim Great Fall features. Kim, still in the 90s here, but I'm adding touches of fall a bit at a time. There does seem to be a slight change in the air and the sun is setting earlier. I'm so ready for autumn. Thanks for hosting this party. It's full of inspiration. A bunch of great features! Thanks for WOW, Kim! Love all the fall inspiration linked here and the beautiful accents you create and show on your blog. Thanks for hosting! Kim, Thanks so much for the feature! Your Wow party is always lots of fun! It has been really hot here, but something in the air feels a little different so it must be fall. Thanks so much for such a lovely party. So many gorgeous inspirations! Thank you for hosting Kim! Beautiful features this week. Thanks for always being such a fantastic hostess Kim. Have a lovely week. Thank you SO much for featuring my no sew pillow! I'm really honored! Hope you have a great rest of the week! Kim, wonderful features. Thanks so much for hosting! Have a great week! Thanks for hosting such a wonderful selection of inspiration. 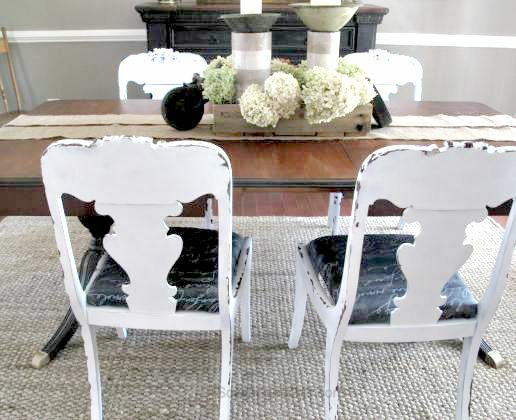 The dining chairs are my favourite. KIm, great features. Hope your week is going great. Thank you for hosting! Hi Kim! Thank you for hosting such a lovely party! Have a great week! Beautiful Fall collection with a lots of inspiration. Thank you so much for this linkup party! I am so making that pillow!! Thank you so much for hosting. Off to visit around. So wowed and impressed! Really enjoy all these idea's! So neat! Thanks for sharing! Loved your features! Hope you are having a great week! Thanks for hosting! Christina did have a really pretty mantel. Thanks for hosting! Thank you for another great party, Kim! Happy Fall! happy fall! thanks for the awesome party and features :) love discovering new posts! What great Fall features, Kim! You always attract the best links. :) Thank you for sharing the cream of the crop! I've been out of the loop for awhile, but I'm glad to be getting back to work. Thanks for giving me a place to share a project! Thank you so much for featuring my chairs. What a nice surprise to get me over hump day. Spending a while being inspired. Wonderful features Kim, thank you and have a wonderful week! Great Features, love the mantle, gets me in the festive mood! Thanks for hosting! Hey Kim - thanks for hosting this fab party!